Former Vice Chancellor of the Ahmadu Bello University and Secretary of the Northern Elders’ Forum (NEF), Professor Ango Abdullahi has asserted that the North is not afraid of breaking up. According to him, the region was prepared to go back to the pre-1914 arrangement. The elder statesman bared his mind at a two-day conference organised by the Arewa Research and Development Project (ARDP). Speaking on the theme of the conference, “The North and the future of the Nigerian Federation”, Abdulahi was of the view that “If we can’t go back to1914, we should go back to 1960, regional governance. North is not afraid of getting its North back, just like those that want East and West. I see this as a political manoeuvre and the North will not take it,” he said. “Restructuring means so many things to many people, but to me, I am not speaking for Unongo or NEF, when I was confronted about this, by people from the South, we sat with Prof Nwabueze and he said Nigeria is unbalanced and Lugard made mistake by amalgamation and North has always dominated that’s why they asked for national conference in 2014. 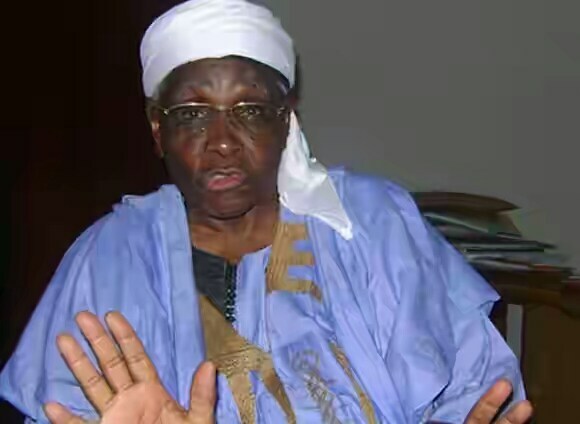 “We reminded him that the North has always sacrificed for the unity of Nigeria. I was a student when we got independence and we saw that each time there was need to unite, Nigeria, the North made the largest sacrifice,” he stressed. He explained that the north has always wanted a peaceful country. “Now we have 36 states from three regions which existed in 1960. No country has had constitutional conference like Nigeria, yet it has not created basis for a united country. “We ought to have realized from that, that the failure of operators of the country is needed, if we want to restructure Nigeria, we have to start from the beginning, 1914, North and South, let’s go our separate ways,” he emphasized. He said that such clamouring are not new, because it has always been an antecedent of the South whenever a Northerner was in charge of leadership. “Things happening since 1999 to 2006 tazarce, and 2015 when a party agreed that Presidency should rotate, and that was the beginning of what we saw. “Since assumption of Northern leadership, we have witnessed demands like they always occur whenever a northerner takes over leadership,” he pointed out.